After seeing my favourite shirts from Nike and adidas this year, you’d be forgiven for thinking we’ve already seen the best shirts of the year. However, as the big boys have stepped up so too have those around them. Puma are of course no strangers to great football kits, and this year they’ve backed things up with some superb efforts across the league. Here’s 8 of my favourites. Hear them roar. Image from Puma. In a similar story to New Zealand, one of the best shirts of the year was robbed of it’s chance at immortality thanks to a team missing out on World Cup qualification. 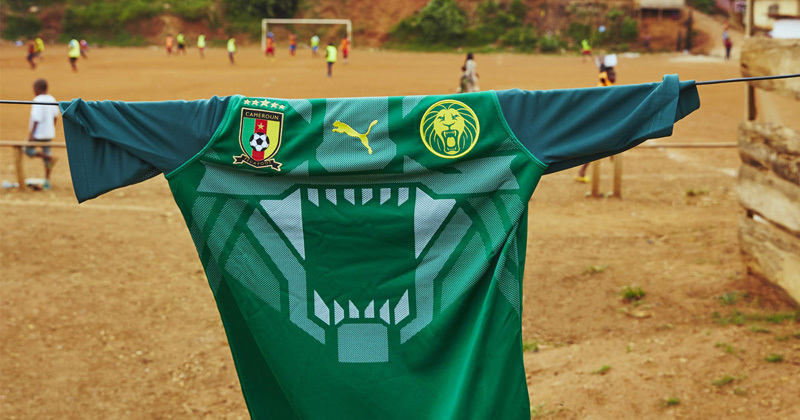 For Puma, it was this wonderful Cameroon design which captured the imagination of millions when it was first announced. The shirt looks like a Transformers tie-in, which (if we can forget the recent films) is enough by itself to grant the kit elite status. Straight out of the late 90s. Image from Puma. 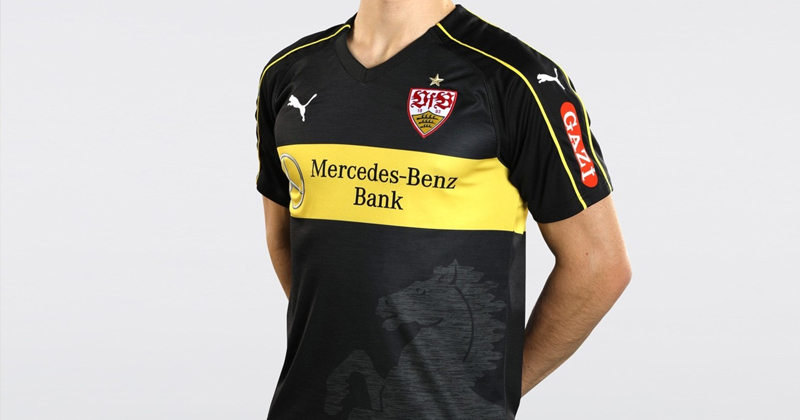 We’ve seen a lot of retro callback shirts this year, but few shirts capture the look of the late 90s quite like this Stuttgart third kit. The gold piping on the sleeves looks superb, and could be lifted straight out of that era. 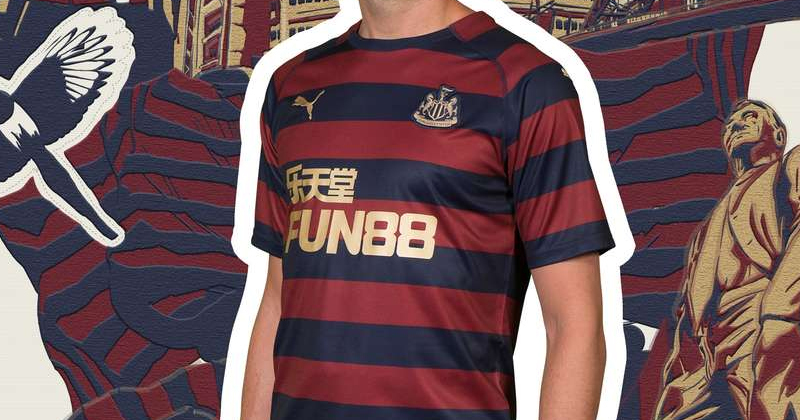 Add to it a Torino-esque subliminal horse on the front and a strong gold band and we have one of the most underrated shirts of the year. Talking of callbacks, Newcastle’s away shirt evokes one of the best shirts in Premier League history to great effect. Maroon, navy and gold is hard to beat as a colourway, and the way the hoops continues round the back is also a simple but notable feature. This sums up Puma's year, in a good way. Image from Puma. Puma have been pushing two trends this season, marl effect and armband designs. 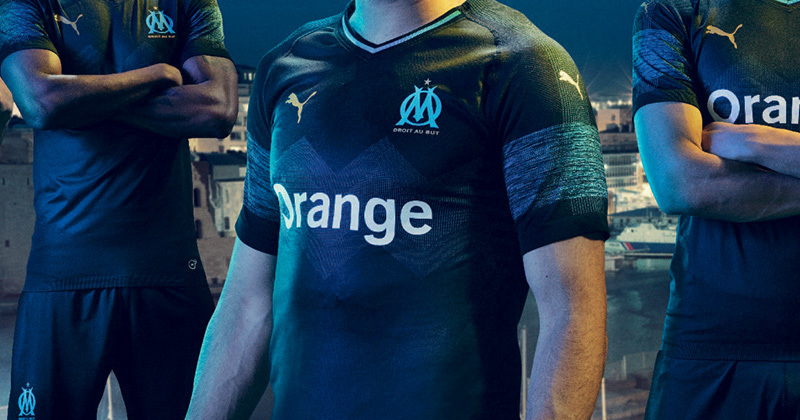 Both are featured on the Marseille away shirt, and whilst there’s a lot going on the intricacy of the patterns and the subtlety of the colours work really well in tandem. More sponsors doesn't necessarily equal bad. Image from Puma. One of the hills I’m willing to die on is that Central and South American shirts with multiple sponsors have a certain charm to them. 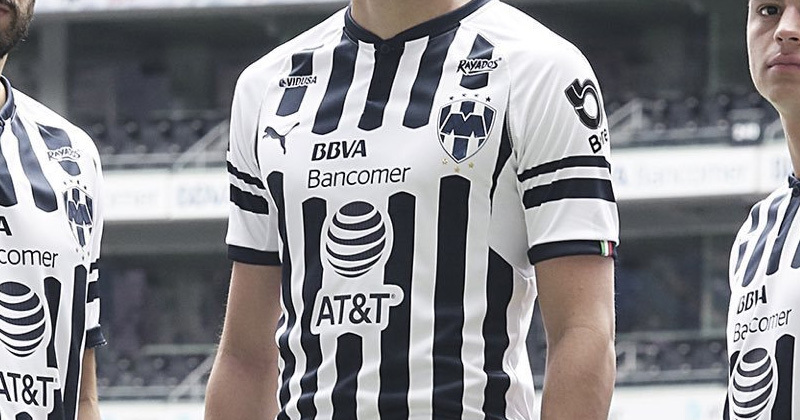 This effort from Rayados incorporates several sponsors into the design. It’s a unique approach, and with a monochrome colourway the result is fantastic. Dripping with style. Image from Puma. 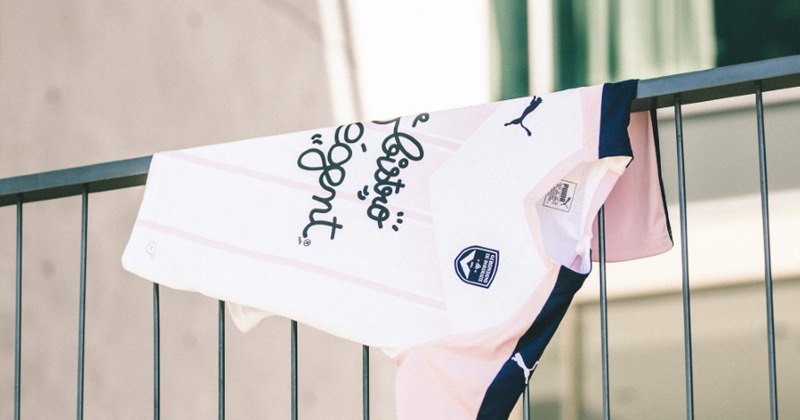 There’s something undeniably French about this shirt from Bordeaux. Maybe it’s the script Bistro Régent sponsor, or the soft pink patterns. Whatever it is, I like it. Lovely, lovely hexagons. Image from Puma. Puma made some cracking shirts in the late 90s featuring hexagon patterns. 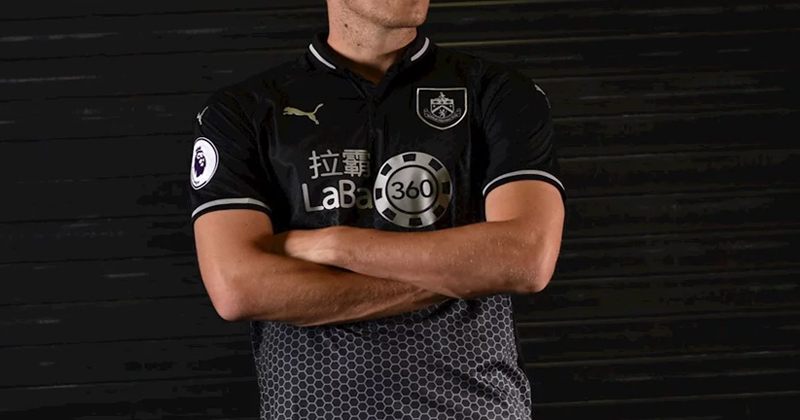 For Burnley’s away shirt, they’re brought back the design, all wrapped in a gorgeous black and silver colourway. Another gem we missed out on seeing in Russia. Image from Puma. 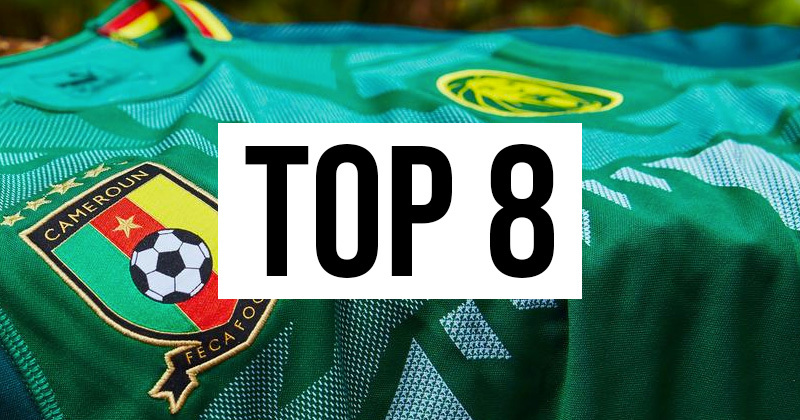 Rounding off this top 8 is Ghana, with a design from the Cameroon stable. 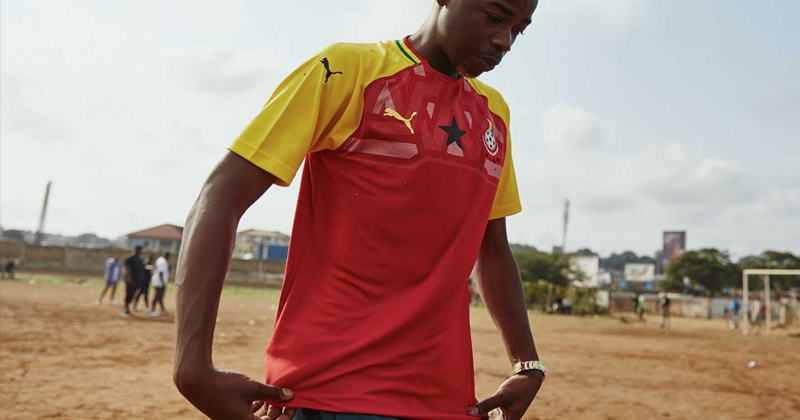 All the action is at the top of the shirt, and the subtle pattern works wonderfully underneath the black star. It’s a great thing for the industry to have brands like Puma producing unique and interesting designs which stretch the shirt landscape. With more big contracts rumoured on the horizon, there’s a lot to look forward to. To shop for great deals on all Puma shirts, and shirts from other brands like Nike, adidas, and Umbro, keep it here at FOOTY.COM.